One of my favorite ways to document my daily thoughts is through my Fauxbonichi. 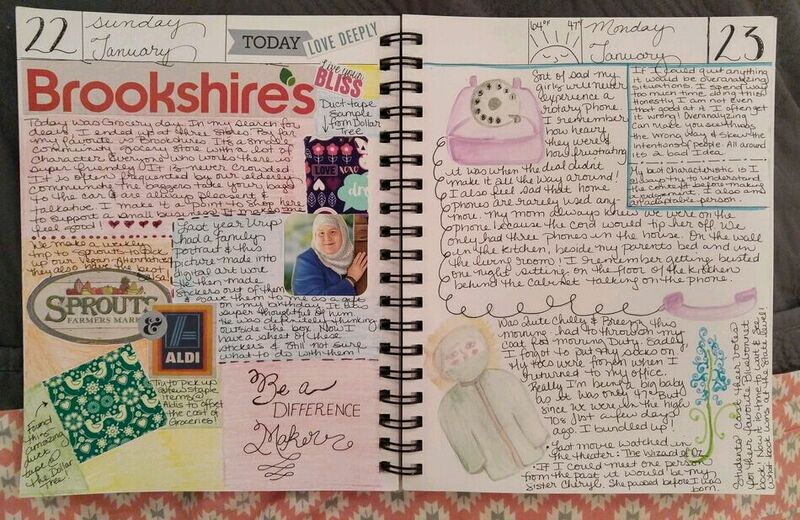 It is a type of creative journal that allows me a space to be not only thoughtful but creative. There is a group of like minded journalers on Facebook (their group is called Fauxbonichi Journalers)and it is an amazing place to get ideas and support. Decorating the cover was super simple with a little help from Dollar Tree. Their wall decals were perfect for a quick DIY. My favorite things to use in my journal is stickers and water colors. Having a place to be creative and play with ideas and thoughts truly allows me to be more productive and inspired. Each book lasts approximently four months and maybe one day my children and their children will have better insight into who I was. 10 Things I am Thankful For! Of course the list of things I could write would far exceed 10. In fact, I probably could spend the entire evening here typing out all the big and small things that truly make my life blessed. But here goes 10 that are currently on my mind. 1. God - I am profoundly in awe of His power and Mercy. Knowing that He is in control and that all things that transpire are by His devine decree is really quite comforting. 2. Family - We have our moments but I truly love my crew. 3. Our House - It's small, quaint, and paid for. I love that it has a cottage feel and being in close proxemity means there's always someone close by. 4. Organization - This ones big this year. I have found that being more organized has led me to a greater peace and diminished anxiety. 5. Work - One should always find opportunities to be challenged on a daily basis. 6. Creativity - Plugging into creative outlets like blogging, painting, journaling, and planning have been a source of excitement. 7. Goals - Sitting down and really dreaming has always come easy. My struggle has been with planning and implemenation. I mean it's fun to dream but it's even more fun to see those dreams take flight and become something amazing! 8. Instagram - This might make some roll their eyes but hear me out. I love creating content. Sharing photos and creating community has been a lot of fun. I would love for ya'll to share what ya'll are grateful for. I encourage each of you to keep a daily log of what you are thankful for. Each night before I go to bed I reflect on three things that brought me joy and am thankful for. I write them in my journal and on days when things are just not going my way, I open that journal and reflect on all the blessings I have. Trying something new for the first time can be difficult and can get messy from time to time. Week 2 was a lot more difficult than week one. The excitement of trying something new begins to wear off. I found myself ammending my challenge to focusing on eating vegan meals only at dinner time. My youngest has become the food police and asks me whenever she sees me with food, "is tha vegan?" Last week, when I thought I could take it no longer, I found an amazing vegan cookie recipe from the Domestic Goddess on Youtube. If you click her name it will take you to the video. These are super delicious with a nice warm cup of coffee. So the journey continues. I want to focus on my breakfasts this week. Stop by next Tuesday for some breakfast vegan inspiration. 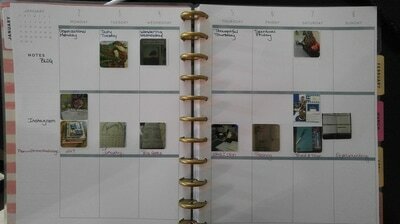 One of my newest planners is the large format Happy Planner. 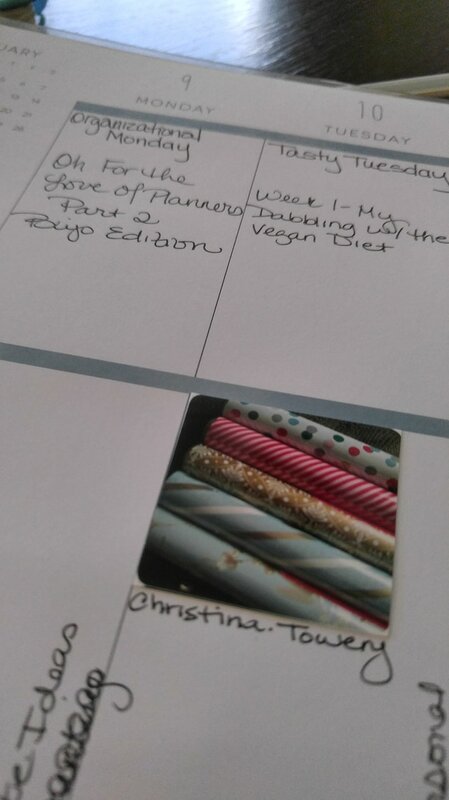 I decided to use this for my social media organization, because I found the larger vertical layout space was perfect for how I envisioned using the planner. The first thing I do each week is label each section as blog, Instagram, and other. Next, I write the categories for my blog, and any challenges I am partipating on Instagram, on the cooresponding day. Finally, I am ready to plan. The most important feature of this planner is the space that allows me to print the pictures I am using on both platforms and insert them into the planner. This visual allows me a better idea of the content I am creating. I use the app Photogrid to create a picture of 6 to 9 photos. After saving the file, I upload it to Walgreens to print. The pictures print in a 4 x 4 format. Then it is easy to cut them apart and attach them. In the two weeks that I have used this planner, I feel more productive and focused on what content I am putting out there. The final piece of keeping up with my blog is the stats chart I created in my bullet journal (bujo). Seeing a visual of my stats and how they coorespond to my posts has allowed me to be more intentional when developing content. Since Hana decided to become a Vegan a few months back, I decided that maybe I needed to see what was out there and see how I could help her in her journey. The cool thing is I have found a lot of resources and people who have been very supportive. My cousin April took on Veganism earlier in 2016. She invited us over to her place on Christmas Day and shared an amazing meal with us. 100% vegan and 100 percent delicious. As I watched April traverse the kitchen and prepare the meal, I realized that maybe it wasn't as complicated as I was making it in my head. I thougt the first thing I would tackle would be what to take for lunch. Of course, I usually take leftovers and such to school. Hana needs something quick that she can take on the go. As of now that consists of a peanut butter sandwich or a Tofurky and Chao Tofu "cheese". This "cheese" reminds me of provolone. One of the biggest hurdles we had to get across was pizza night. The answer was super simple. We buy our pizzas from Papa Johns and we order one with no cheese. I personally like mine with banana peppers and mushrooms. When it arrives I sprinkle on some Daiya mozerlla "cheese" on top and Hana and I are good to go with dinner. Check back each Tuesday to see how our journey to Veganism is going. 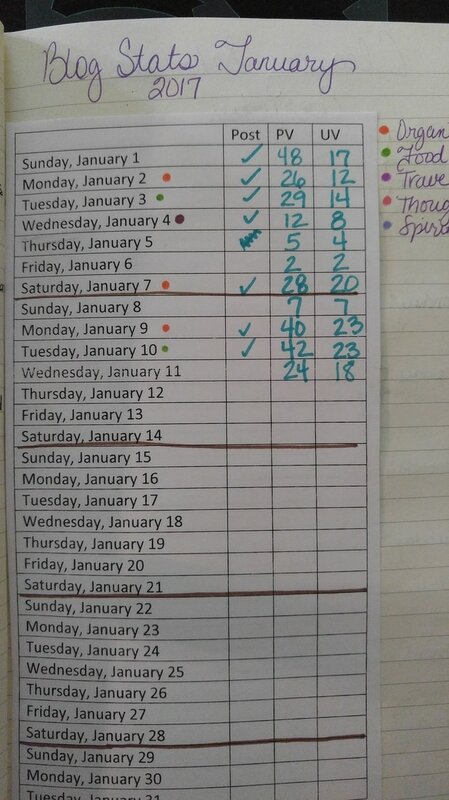 Each Saturday I will take a moment to write and share my progress completing the 52 Weeks To an Organized Home Challenge I found on Pinterest. Each Sunday I begin thinking how I will complete the challenge. I try to break it into smaller tasks or dedicate a large chunk of time to getting done. The first week is focused on kitchen counters and getting them all cleared off and decluttered. I have been wanting to do this for a long time. It just seemed way to overwhelming. One thing I wanted to retain from prior organization is having zones that have a purpose. I have found this helps when putting things away. 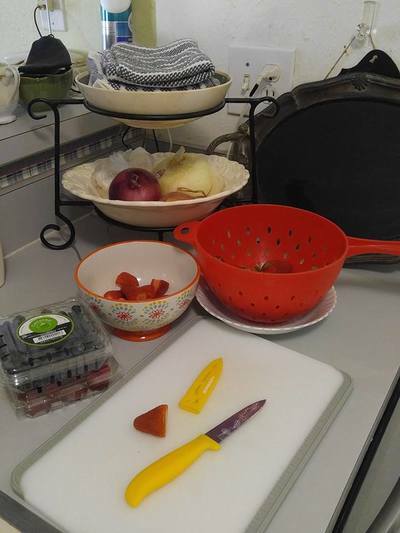 I tend to do all my fruit and veggie prep next to the kitchen sink. For this reason, I keep a basket of fruit above the sink and all my onions, garlic, in bowls by the sink. When this area is clean, it helps make my food prep smooth. I have also found that when it is clean is makes me want to keep the sink clean as well. Probably the most used zone in our tiny kitchen is the bread/microwave area. 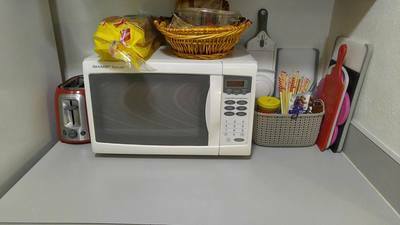 The teenage girls can often be found here making a peanut butter sandwich, popping popcorn, or warming a cup of water for tea. I also store our cutting boards there because the utensils are in the drawer below. It's easy to grab a knife and a board at the same time. 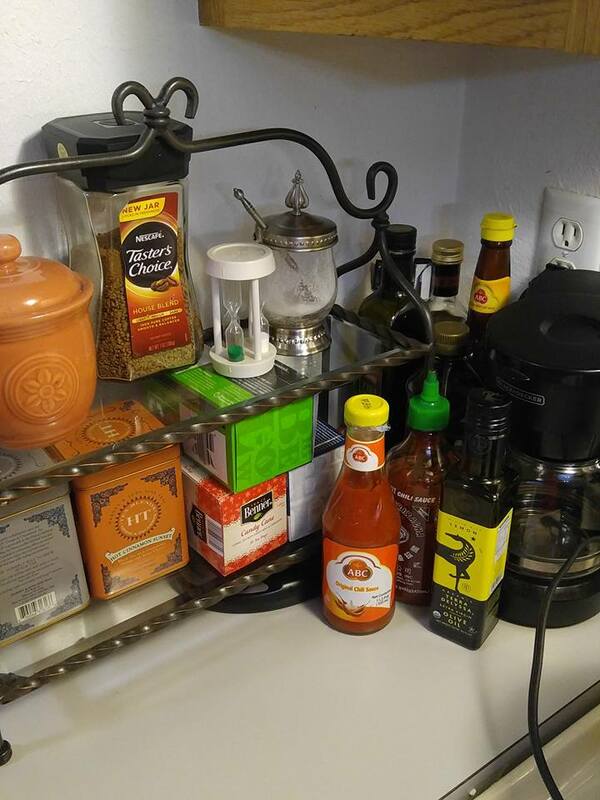 To the left of my stove you will find everything needed to make an amazing cup of coffee or tea. It's also the place where we keep all our cooking oils and spices. I am thinking of changing some things up next week when I clean out the cabinets to make this area flow a little better with where I place my mugs. To the right of my stove is where I keep our blender and crock with all our cooking utensils. i completed this task in a little under an hour and actually threw out a lot. My kitchen was a big clutter zone and in all honesty, I didn't even want to use. I can't imagine what my cleaning lady thought of it. And that's it. 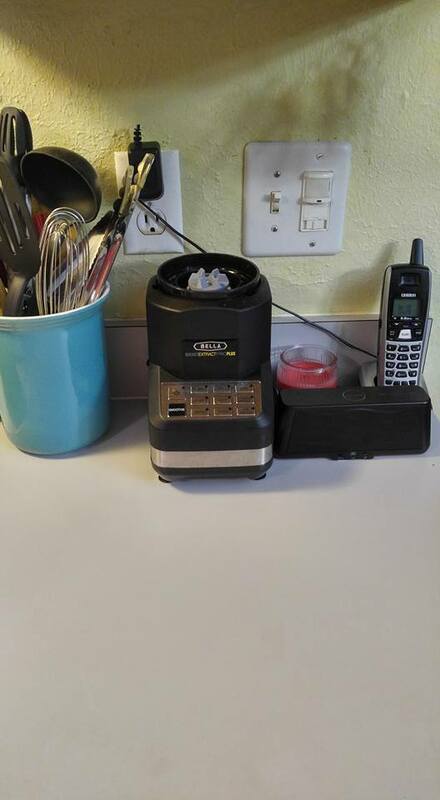 The great thing about having a tiny kitchen is that it's easy to clean. The drawback is that there's only room for one person. I even feel cramped in there when the cat tries to come in. A muslimah mom of two teens trying to navigate my 40s. Taking time outs when I can to make it each day!